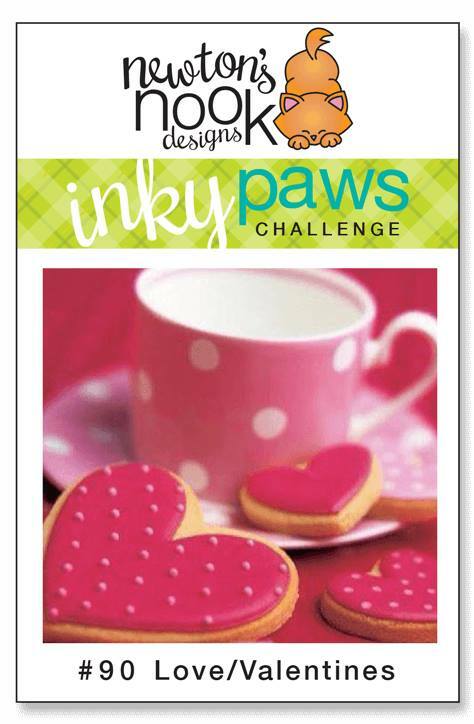 Inky Paws Challenge #90 Winner! 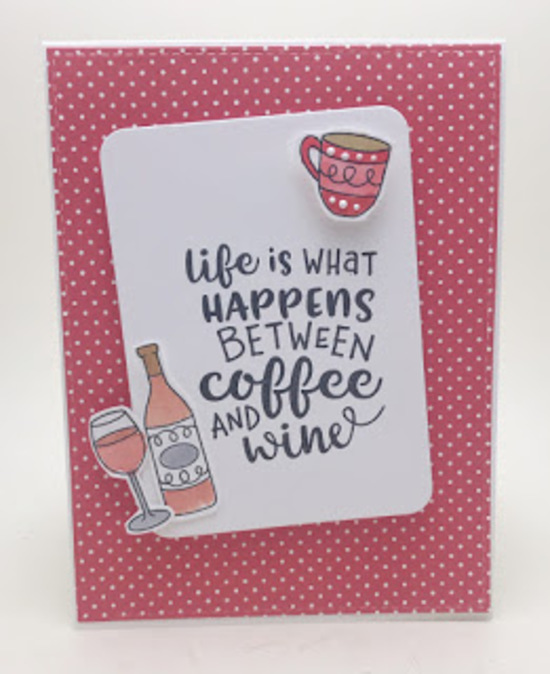 Erin T. uses the Coffee & Wine stamp set to create this darling card. She colors the images in soft pinks and red and adheres it to a red polka-dotted background. 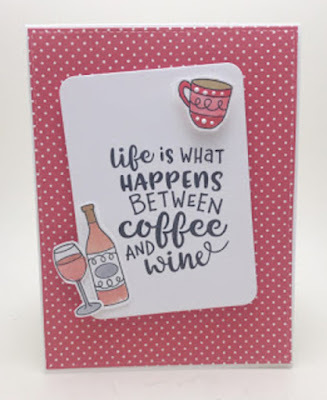 Love the coordinating dots on the coffee cup! 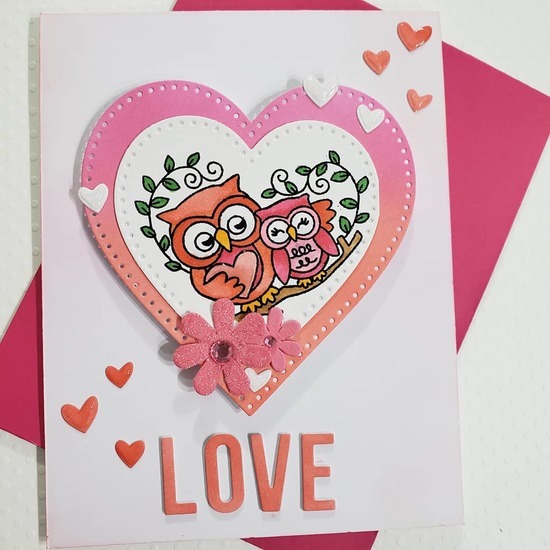 April Hunton creates this CAS-style card using the Love Owl-ways Stamp set. She colors those sweet owls in shades of pinks on a white heart and adheres it to a pretty pink heart. She adds a splattering of hearts and flowers to complete her card. 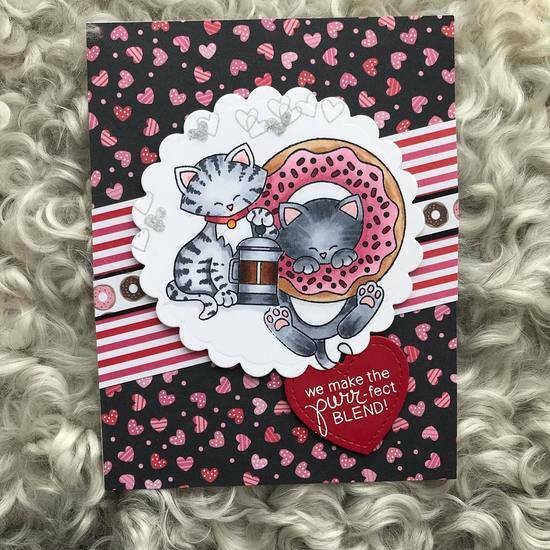 Marianne creates this delicious card by combining fun pattern papers and coffee and donuts! 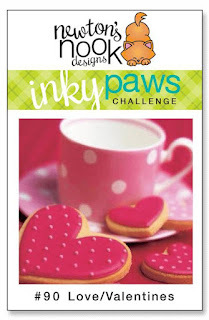 The black and pink colors work wonderfully with the images from the Newton's Donut and Newton Loves Coffee stamp sets, and the red heart with the white embossed sentiment looks fabulous! Plans and Parcels creates this romantic card by repeatedly stamping images from the Newton's Sweetheart stamp set. 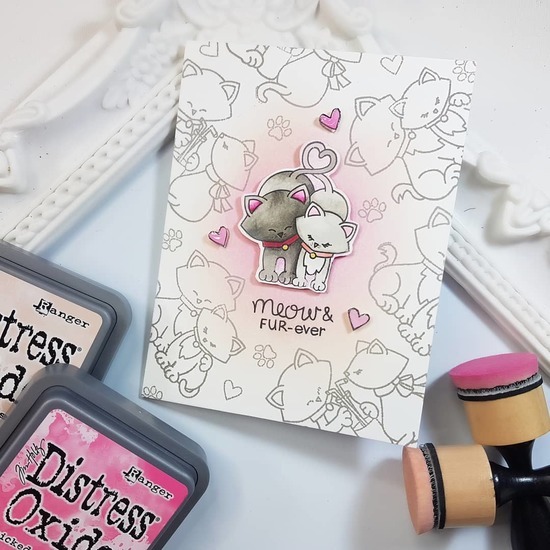 She adds a soft, pastel center using Distress inks before add the main attraction--the darling feline pair--using some dimension foam. The little pink hearts are a purr-fect touch. 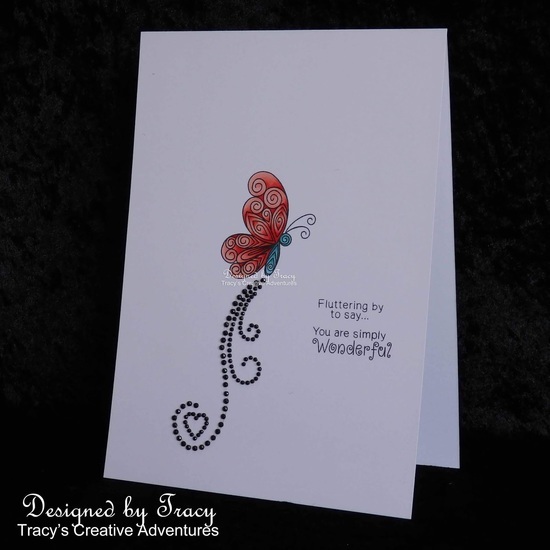 Tracy M. designs this spectacular CAS card by using one of the butterflies from the Beautiful Wings stamp set. The flourish she adds is the perfect amount of bling! 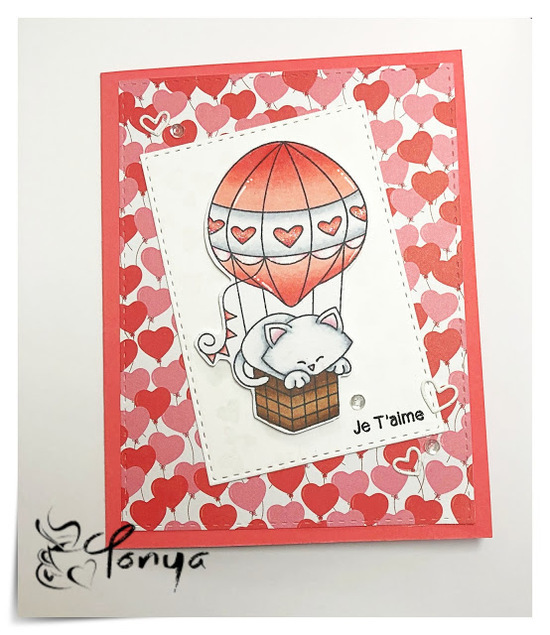 Tonya Graham blew us away with her spectacular coloring on the hot air balloon from the Newton Dreams of Paris stamp set. She coordinates the hearts from the balloon with heart-shaped balloon pattern paper. She adds sequins and white hearts to finish off her design! CONGRATULATIONS to the winners and DT Favourites!